The Rose Quartz Angel Necklace for Unconditional Love reminds us that the true essence of Love begins with loving yourself. 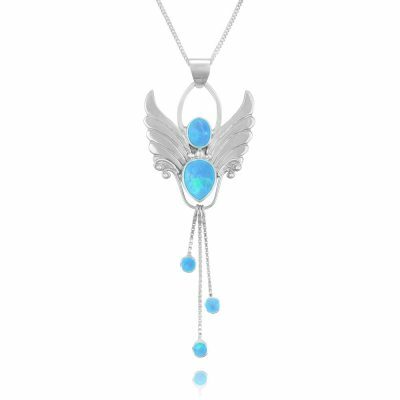 A gentle and soothing Angel Necklace for inner child work, self-nurture, compassion and forgiveness. 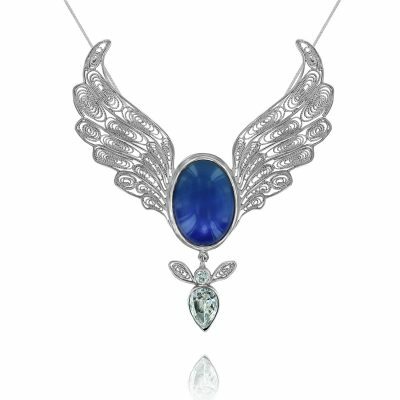 Angel Necklace for January Birthdays. I always say that Angels help those of us who are learning to fly, to make that inner journey and become more attuned with our higher selves. This lovely rose quartz and silver necklace is for helping you and your inner child, because developing self love, respect, self nurture and self compassion is not always a walk in the park. When you begin to do this inner work do it with the loving support of our Angels – may they help you to find your wings and fly. 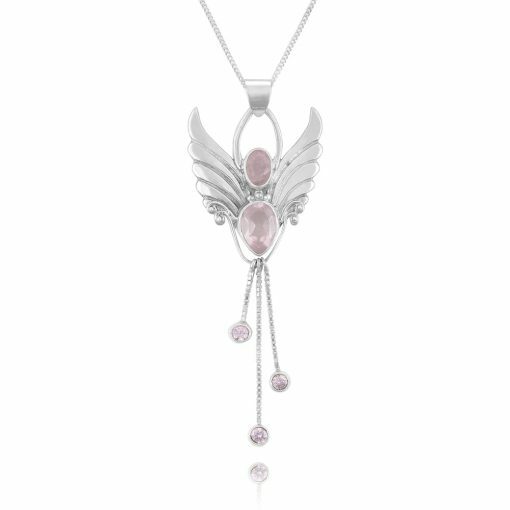 The soft pink Rose Quartz Angel Necklace features Angel Jewelry’s iconic tri-drop detail, and contains 5 natural, faceted Rose Quartz crystals. The pendant is handcrafted in solid silver and comes with a silver chain. 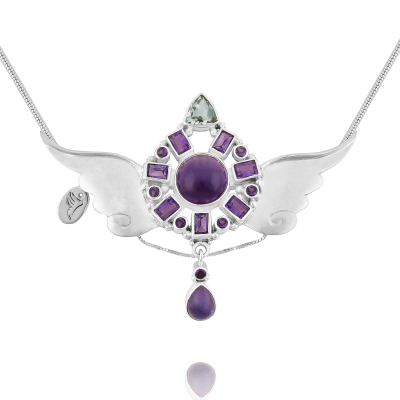 Our jewellery is presented in a lovely Angel Jewellery box with a card describing the Angel and the crystals. The Pendant Length. 2″ Width 1″. We ship worldwide. Please email me if you need express delivery.